Low Profile Gastric-Jejunal Internal Tube by Applied Medical is designed to deliver internal nutrition and gastric decompression drainage. It is ideal for those who experience intestinal motility problems, cannot absorb adequate nutrition through the stomach, have severe gastro-esophageal reflux, have had gastrectomy or esophagectomy, or are at risk of aspiration. 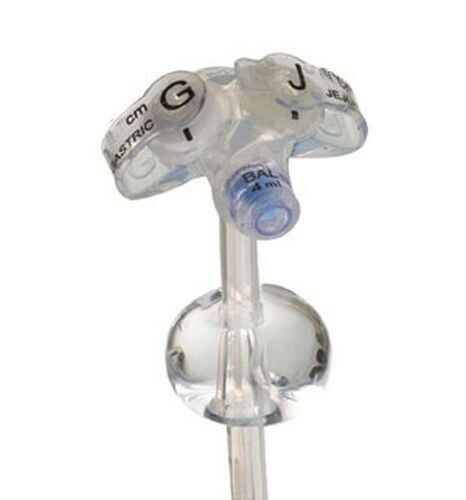 The MIC-KEY* GJ Feeding Tube comes in a variety of sizes; 14 & 16 FR, 1.5 cm stoma, 30 cm jejunal or 16 FR, 2.5 stoma, 30 cm jejunal. It is a low-profile transgastric-jejunal feeding tube that is sterile and made of silicone. It features a G-JET's. 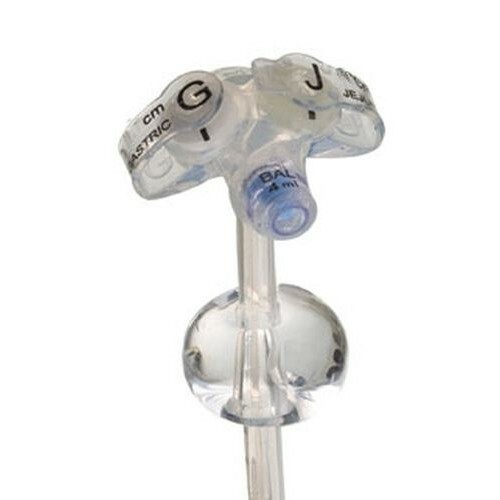 It has a similar design to the AMT MINI Classic Low Profile Button G-Tube.